‘melodiously’ modifies the verb ‘sang’. 3. The nightingale sings quiet melodiously. 1. An adverb that modifies and adjective comes just before the adjective as in example 2 above. Look at the examples below. They had an extremely useful discussion. His behavior was shockingly rude. 2. An adverb that modifies another adverb comes just before it. They usually tell to what extent. Look at these examples below. He was speaking quite loudly. 1. When? (Adverb of time). Example: The meeting began late. 2. Where? (Adverb of place). Example: They hold a meeting at home. 3. How often? (Adverb of frequency). Example: He rarely visits me. 4. How/In what manner? (Adverb of manner). Example: He spoke softly. 5. To what extent/degree? (Adverb of degree). Example: Weather is very good. Note: The adverbs ‘not’ and ‘never’ indicate to what extent and when. They also give negative meaning to sentences. They never arrive in time. Sort the adverbs and adverb phrases and write them in appropriate column. One example is given for each type. 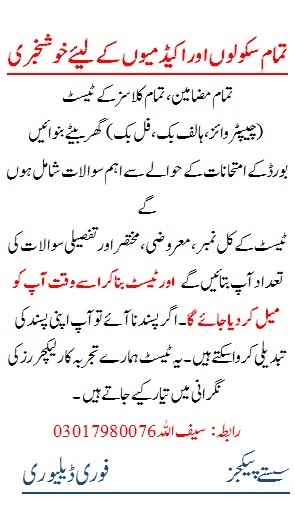 Read the following sentences. Pick out the adverbs and identify the type of each. 1. The gusts are coming tomorrow. 2. They like coming here. 3. They often make this trip. 4. She writes quite beautifully. 5. They always welcome us warmly. 6. He seldom gets angry. 7. My father has gone out. 8. The project is almost ready. 10. They will arrive soon. The position of an adverb in a sentence determines the meaning. If an adverb is placed after a phrase or clause, it is considered to modify that clause or phrase. The meaning changes accordingly. Examples: They instantly gave up the plan to strike. They up the plan to strike instantly. The leader annoyingly denied that he had made such a statement. The leader denied that he had made such a statement annoyingly. Adverbs can be placed in one of the three positions, viz. front position (at the beginning of a sentence), mid position (close to the verb), and end position (at the end of the sentence). Then the girl slowly walked away. Soon the child dramatically screamed again. If the sentence contains one or more auxiliary verbs, the adverbs are placed after the first auxiliary. If there is no auxiliary, the adverbs come before the main verb. Example: I have often told him to be careful. The records have definitely been damaged. It can easily be explained to them. I occasionally visit the place. If any form of the verb ‘to be’ is used, the adverbs are placed after the verb. I other cases adverbs are normally placed before simple tenses of other verbs. Examples: We are always on the schedule. You are certainly a better candidate. He sometimes comes to this shopping mall. Note: When there is a stress on the verb ‘to be’ or on the auxiliary, then the adverbs usually comes before it. Example: You certainly are a better candidate. If there is an object, the adverbs are generally placed after the object. But if the object is very long, we usually put the adverb before the verb. He signed the document yesterday. He read the paper quickly. When an adverb modifies an adjective or another adverb, the adverb is normally placed before it. Example: Do not drive so fast. It is very dangerous. An adverb of manner usually goes in end position, but an adverb that ends in ‘ly’ can sometimes go in mid position. Example: He was driving fast. She apologized politely./She politely apologized. These are generally placed after the verb or after the object if there is one. Examples: Her cousin lives here. I have met him somewhere. They are generally placed in front position or in the end position. Examples: I met him recently. Eventually they settled in their hometown. He signed in the dotted line yesterday. Soon he became the richest man of the city. An adverb of frequency usually goes in mid position. Examples: She is always on time. Adverbs such as often, sometimes, normally, usually, and occasionally can also go in front or end position. Examples: Usually there is no dissenting voice. When an adverb is intended to modify the entire sentence, it is normally placed at the beginning of the sentence. Example: Generally the employees like to maintain the status quo. Maybe they feel secure that way. 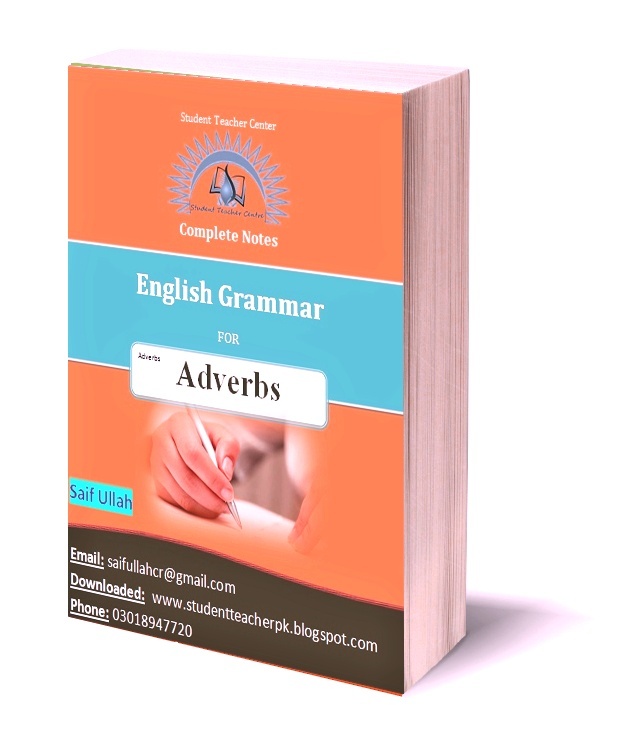 A sentence adverb modifies the whole sentence, rather than any particular word. It can go in the front, mid or end position. Examples: Fortunately, his initial response was favorable. He had probably no other proposals. He is very excited, of course. If there are two or more adverbs after a verb, the adverb of manner comes first followed by adverbs of place and time. Adverbs of time can also be in front position. Example: Every day of the weak he visited his mother when she was in hospital. Certain adverb and adverb phrases can be placed first in a sentence for emphasis and then followed by the inverted form of the verb. I have never seen such a dismal sight. Never have I seen such a dismal sight. We can hope to regain their faith in us only by treating them well. Only by treating them well, can we hope to regain their faith in us. So is an adverb. It can be used with an inverted verb. Examples: She shouted so loudly that every one turned around to see. So loudly did she shout, that everyone turned around to see. We cannot allow the situation to deteriorate under any circumstances. Under no circumstances can we allow the situation to deteriorate. No sooner is comparative form. If it begins the sentence, the verb must ne inverted. Example: As soon as he finished the work, he left the office. No sooner had he finished the work then he left the office. Rewrite the following sentences using the words given in brackets at the initial position followed by an inversion of verbs. Rewrite the following grammatically incorrect sentences in the correct form. 1. Rarely does he refused an invitation to dinner. 2. Not even for one day did they stayed at her house. 3. As soon as they reach the station they bought the tickets. 4. Hardly ever did Irfan resisted the temptation to gorge. 5. Not until the company improved its reputation did the sales picked up. Adverbs modify verbs whereas adjectives qualify nouns. Transform the adjectives into adverbs and rewrite the sentences. One has been done for you. 1. He speaks in a kind manner. 2. They make frequent changes to the timetable. 3. This is remarkable achievement of theirs. 4. There was a sharp rise in the price index. 5. Finally the issue has courageous settlement. 6. He presented a ridiculous argument. 7. They have done systematic arrangements. 8. Haris is an efficient worker. 10. Her speech was pathetic. Get these notes as an E-Book for Free. You can request a .doc version through Email or comment box as well.